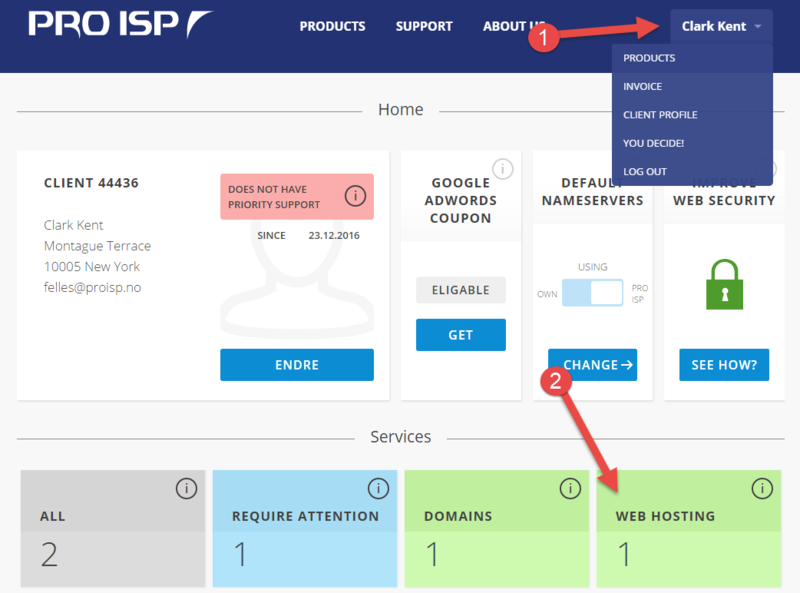 This guide shows how to reset the password for your web hosting account and get it sent to you in case you have forgotten it, or because it doesn't work for some reason. 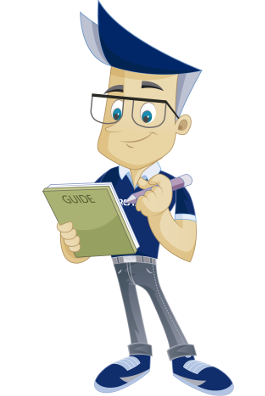 This guide assumes that you have already logged in to the customer portal with the customer number you have ordered the specific web hosting account for. If the domain name is parked, you can upgrade to desired web hosting account package via our customer portal. 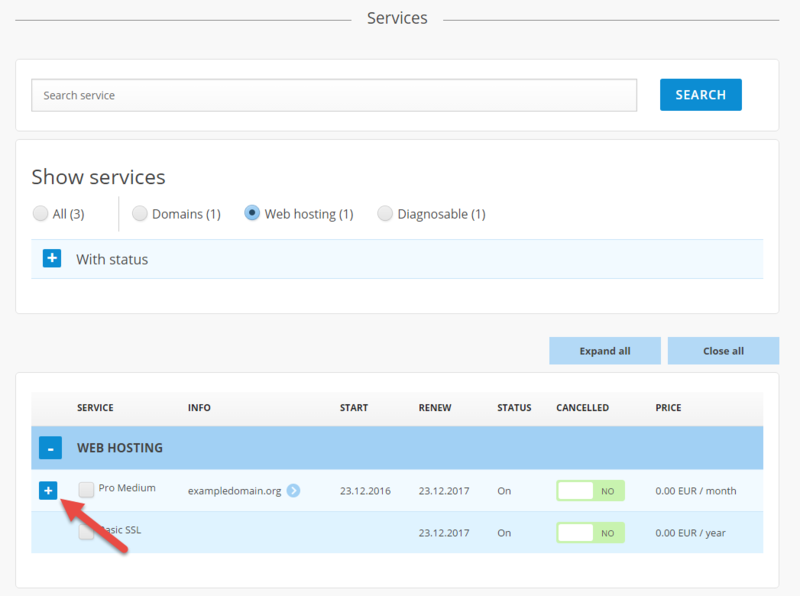 Choose "Web hosting" under "Services". Find the web hosting account you want to have the password for in the list. 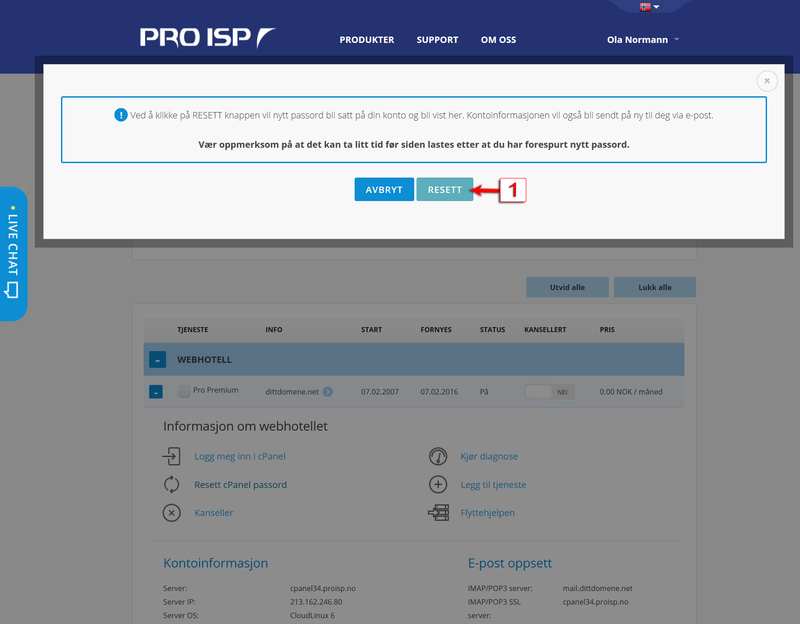 It is only possible to receive the password to web hosting accounts with status "On". 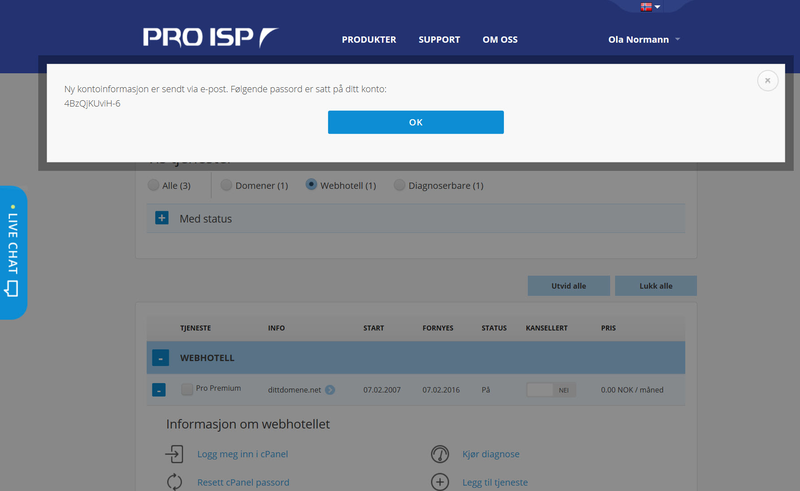 In this example we want to have the password for the web hosting account for dittdomene.net sent to us. 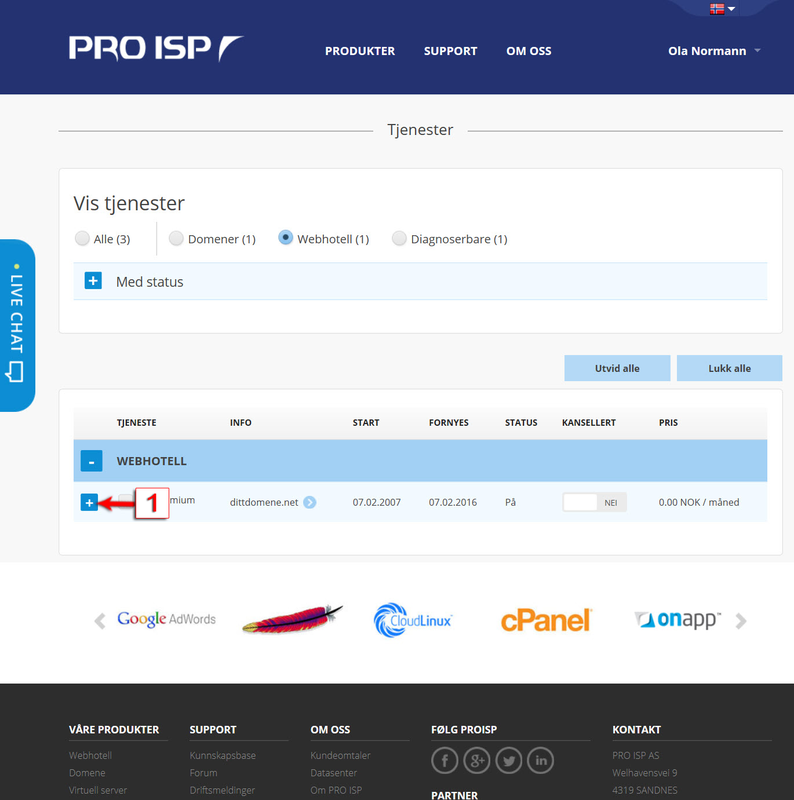 Click on the plus sign (+) to the left to open the information about the web hosting account. 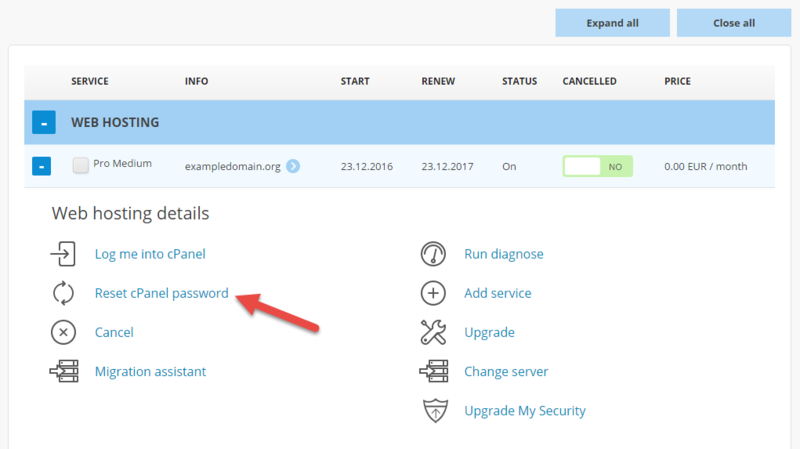 Click on "Reset cPanel Password". A new password has been set and is shown in the window. The password is also sent in a separate email. We have now been through how you can have a new password sent to you for your web hosting account.